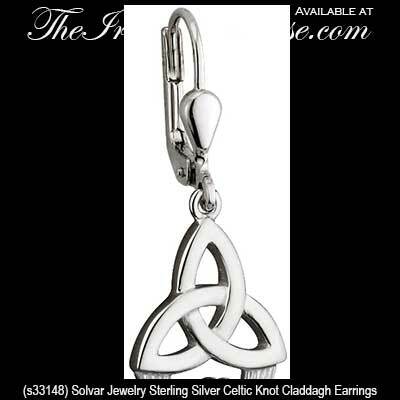 These sterling silver drop earrings feature both the Claddagh and the Trinity knot. Sorry, these earrings are sold out and may not return. 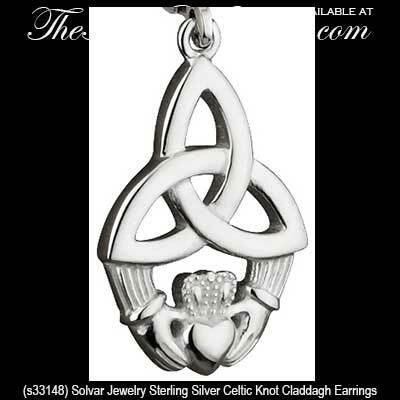 These sterling silver Claddagh earrings feature Trinity knots. The Celtic Claddagh earrings are a drop style on latching Eurowires that measures 1/2" wide x 1 1/4" tall, to the top of the wire. 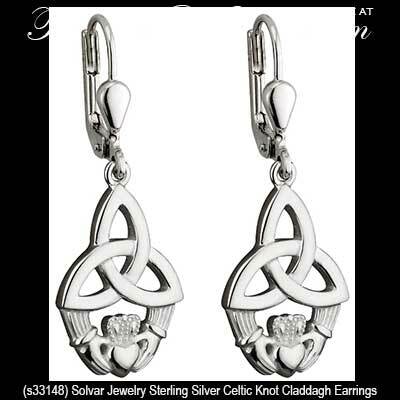 These Irish earrings are made by Solvar Jewelry in Dublin, Ireland and are gift boxed with Claddagh and Celtic knot history cards, complements of The Irish Gift House.